Used in traditional Chinese medicine for over 5,000 years, Goji berries are regarded as a longevity, strength -building and immune boosting food. They are also the most nutritionally dense fruit on earth. This superfood contains 18 kinds of amino acids, including all 8 essential amino acids, up to 21 trace minerals, iron, polysaccharides, B & E vitamins, and many other nutrients. Goji berries have a very high amount of antioxidants and also contain beta carotene, which is great for healthy skin. They also contain astaxanthin, an anti-oxidant that protects against harmful UV rays, and even helps reverse skin damage. 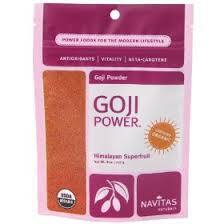 The Goji berry contains natural anti-inflammatory, anti-fungal, and anti-bacterial compounds. This nutritional powerhouse actually contains the highest concentration of protein of any fruit and more than 15 times the amount of iron found in spinach, as well as calcium and zinc. Whether you incorporate Goji powder in your smoothies or snack on these tart berries in their true form, you will be doing yourself a huge favor. Consumption of Goji berries have shown large improvements in overall health – in boosting your immune system, gaining energy and an overall increase in vitality and well being. When taken regularly, along with maintaining a healthy lifestyle, Goji berries can increase your mood, energy levels, quality of sleep, eye health and digestion. They are also known to reduce stress levels, depression, and fatigue. These berries may help lower blood pressure, lower the “bad” cholesterol, and help with diabetes, liver disease, and depression. With processed foods, chemical & artificial additives, over use of antibiotics, and stress no wonder our gut lining is increasingly weakened. Digestive discomfort and disorders are more prevalent today than ever before. The first and foremost preventative or corrective measure is a healthy diet – lots of vegetables, super foods, fish and lean meat (best to avoid processed foods, sugars, excess dairy, limit OTC drugs and antibiotics). However, aside from a clean diet it is also a good idea to introduce a daily probiotic. A probiotic is mostly healthy bacterium that reduces harmful bacteria and helps prevent infections in the digestive tract as well as reducing inflammation. It is crucial to have a healthy digestive system, as 80% percent of your immune system is located in your gut. Symptoms of digestive disorders vary, from indigestion, bloat, constipation, candida, even depression and mood swings. 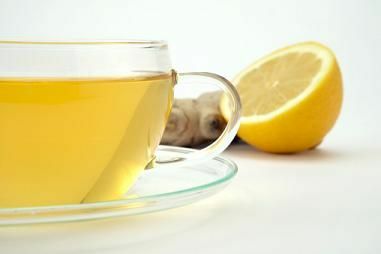 Seeing how important is to keep your digestion in top shape, there are other natural aids to help support gut health. The amino acid L- Glutamine is a wonderful supplement for a healthy stomach and digestive system. It is one of my favorites to add to smoothies for all of its wide range of health benefits. First, L-glutamine is known to dramatically strengthen the stomach lining. It provides cells in the digestive tract with a crucial source of energy which aids in development of new cells, as well as increases the absorption capability of existing cells. L-Glutamine helps with water absorption in the gut, which in turn aids in hydrating the entire body. Always a plus! Aside from assisting in healthy digestion and gut repair, L-Glutamine works as an inherent neurotransmitter, aiding in healthy brain function and memory recollection. It is greatly used by athletes, as it helps to rebuild muscle while simultaneously breaks down fat. In addition L-glutamine is known to help regulate blood sugar levels, enhance immune performance and fight infection, speed metabolism and may even decrease sugar and alcohol cravings. The best way to take L-Glutamine is in powder form, making it readily digested. Add recommended dosage in your morning smoothie or juice and enjoy all of the wonderful health benefits it has to offer! In addition to the daily probiotic, I added L-Glutamine to our smoothie today. I also added a serving of Spirulina, one of my favorite superfoods. It is a micro-alga that has a high concentrate of protein, specifically made of essential amino acids. Spirulina is great to add during our digestive restoration week, as it helps produce healthy stomach flora and that repromote digestion. 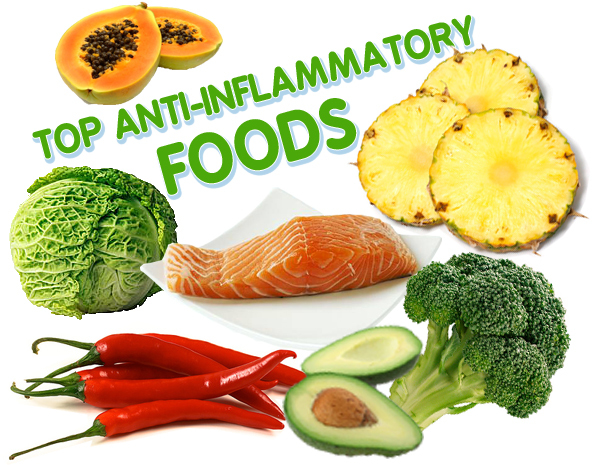 It is also has a high content of calcium, vitamins, nutrients and trace minerals, as well as iron and beta-carotene. Spirulina stimulates and boosts the immune system and detoxifies the body of pollutants and heavy metals. It is high in Chlorophyll, which purifies the blood, removing toxins from your system. Last but not least, it contains anti-inflammatory properties, may lower cholesterol, and even fight off allergies due to its histamine blocking effects. Today’s Cucumber Melon Cayenne Smoothie contains loads of alkalizing vegetables and fruits, as well as the therapeutic spice- cayenne. Cayenne is well-known for its digestive aid properties, among many other health benefits. It stimulates the digestive tract, which increases the flow of enzyme production, aiding is metabolizing food. It also reduces acid (very alkaline forming! ), relieves gas and bloat, and helps digestion with absorption and elimination. It also aids in the digestive process by stimulating saliva. Cayenne also supports cardiovascular healthy, weight loss, natural detox, relieves joint pain and migraines, and has many anti-inflammatory, anti-allergen and ant-fungal properties. Cayenne is a great ant-flu and anti-cold agent as well, as it breaks down mucus and flushes from the body. 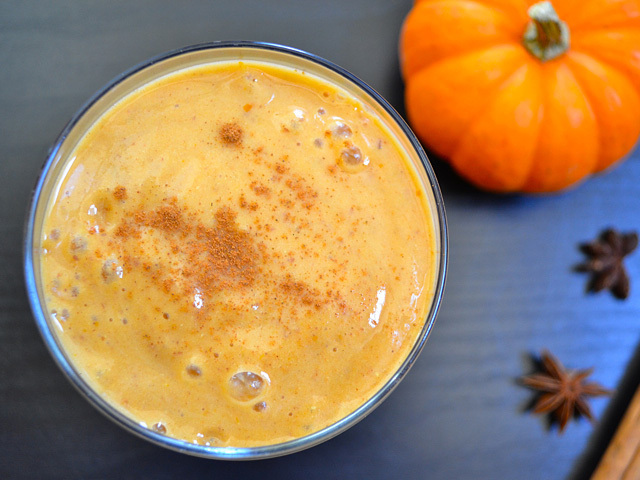 join nourish + nosh and Nava Yoga on our Fall 5 day smoothie detox! Join us in our Fall 5 Day Detox! Why detox you ask? 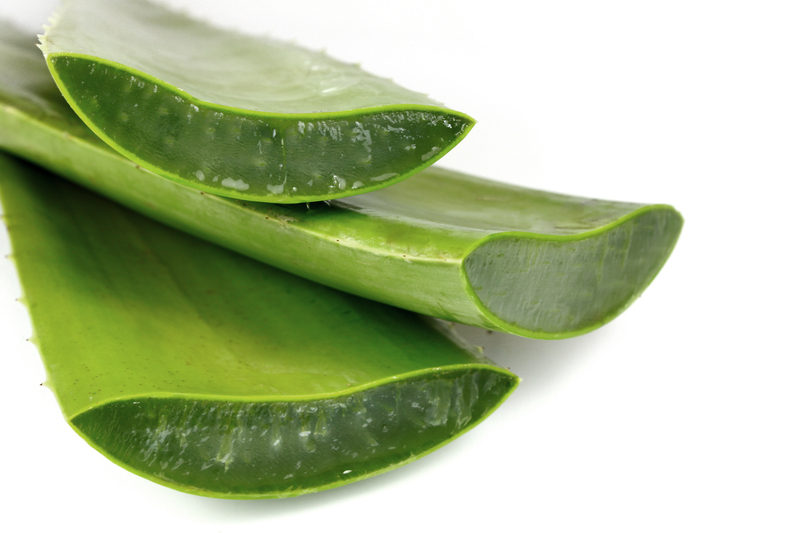 There are countless reasons why a natural detox will tremendously benefit your body and mind. First, your body needs a break! There are so many factors in our busy lifestyles, physically and mentally, that cause us to have an overload of harmful toxins in the body and mind. The first step to a beneficial detox is to eliminate these harmful factors that cause stress on our bodies. These include processed foods, excess sugars, stimulants, stress, chemicals, and any other environmental toxins. Secondly, you need to give your body the nourishment and proper nutrition it needs. These include foods that will help flush out the toxins, as well as repair and replenish the body with alkalizing properties that will cause the body to find proper balance and optimal vitality. By eliminating the above toxins, adding detoxifying and cleansing foods to your diet, practicing mindfulness and light physical movements through gentle yoga, and also by getting an adequate amount of rest- you will soon be feeling the benefits of a natural cleanse! Eliminate toxic build up in your organs and tissue, caused by processed foods, pesticides, food preservatives, external pollutants and heavy metals. Even if you consider yourself a clean eater- there are unavoidable toxins that find a way in! They affect our behavior, sleeping patterns, immune system, skin, and energy levels. Even more serious- they may lead to chronic disease. Experience energy and vitality on a whole new level! You won’t believe how much energy it takes our bodies to digest the not-so-clean foods and toxicity we tend to consume. When we give our digestive system a break, the abundance of energy once needed to process the foods we were ingesting is now being redirected to repair and regenerate damaged cells. We are able to rebalance and recharge from within- allowing us to experience optimal vitality and inner strength and wellness. Gain more mental clarity and mind + body connection. When your body is not spending so much precious energy digesting food, we are able to also redirect that energy to our brains. This causes us to think more clearly and attain mental clarity and peace. Boost our immune systems. Our immune systems are often compromised by certain health conditions related to stress -mentally and physically, hormonal imbalances, weakened adrenals, inadequate nutrition. A detox will help to restore the imbalance we unfortunately experience due to certain lifestyle choices and even external factors we can’t control. Lose weight and excess body fat your body stores. A detox can help flush out the impurities and fat stored in cells, and also reduce Cortisol levels and increase your metabolic rate. Restore balance in your life- all of your systems from the digestive to nervous system are connected and work together. When you achieve balance through detoxification and cleansing, they will work together harmoniously as nature intended, allowing your body to function fully in all areas. By joining us on this 5 day cleanse and following the basic guidelines of a gentle detox- you will be improving your overall quality of life and well-being. Fall Detox runs through October 21st– 25th. Fee of $30.00 includes a delicious detoxifying smoothie each day, as well as basic detoxifying guidelines from me, Laura Ferro of Nourish + Nosh. 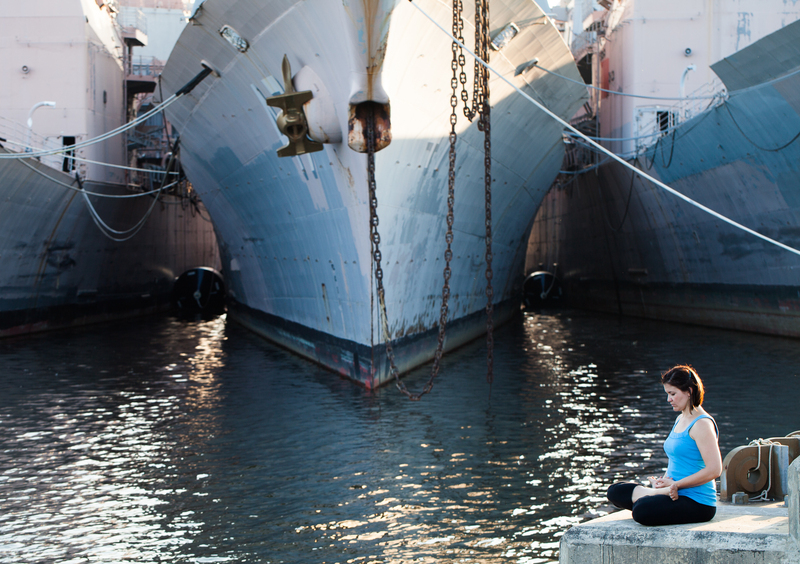 Nava Yoga Center will be offering 5 days of yoga designed to cleanse, restore and renew. All classes are drop-in $15, class cards available . Pick up your smoothie after class at the Galley Cafe, located in the Lobby of Vincera Institute. All smoothies are vegan and include superfoods such as spirulina, chia seeds, flaxseed oil, and more! I look forward to helping you through this wonderful journey of gentle detoxification. Prepare to experience rejuvenation, mindfulness and optimal vitality. 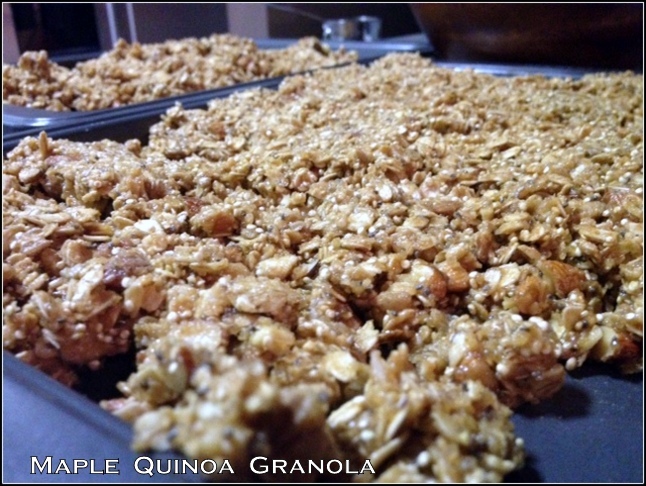 Making some power granola for my morning meeting with the girls of Nava Yoga Center at The Navy Yard. So excited to work with them! Get ready for amazing events and collaborations at Vincera Institute with nourish + nosh at The Galley and Nava Yoga. Check back here and on facebook for updates and details! This nutrient-rich granola is made with quinoa, chia seeds, coconut oil, heart healthy almonds, walnuts, and sunflower seeds. It’s loaded with protein, fiber, omega 3’s, and antioxidants. It contains minerals such as iron, calcium, magnesium and zinc. It’s also vegan and is sweetened naturally with maple syrup and turbinado sugar. Eating this is great way to start your day or for a mid-afternoon boost. It will provide you with so much energy and keep you satisfied all day long. Come visit me and try some of this deliciousness at the Galley cafe in the The Navy Yard.